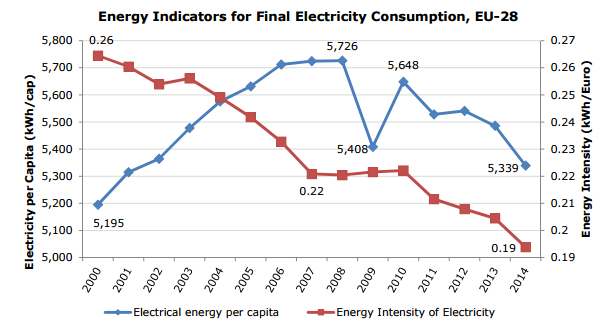 A new JRC report on Energy Efficiency has found that 2014 saw the lowest EU energy consumption since 2000. A number of trends on the consumption of appliances were also reported: the average consumption of a fridge-freezer dropped 25% in a decade; the average washing machine now uses 15% less water compared to 2004. 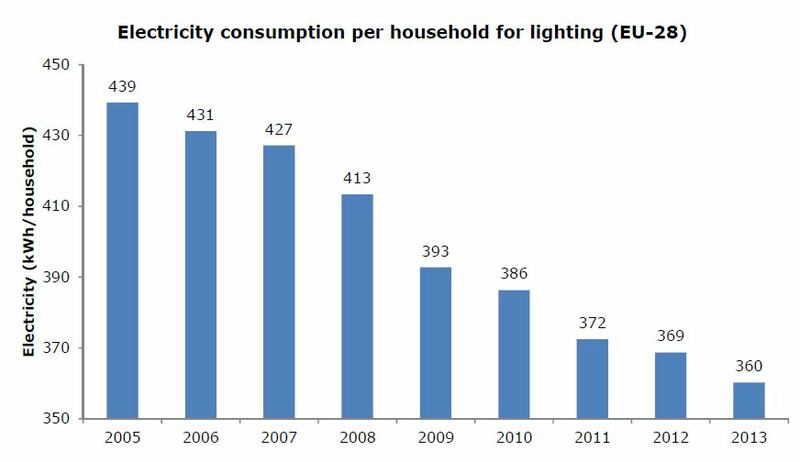 The report Energy Consumption and Energy Efficiency Trends in the EU-28 2000-2014 can be downloaded here. Looking at the four main sectors, residential, tertiary, transport and industry, the analysis looks at the effect of measures taken by the EU, such as Ecodesign and Energy Labelling, to reduce energy consumption and improve efficiency. Over 50% of this energy consumption came from four EU member states: France, Germany, UK and Italy. 90% of the final energy consumption came from 14 of the 28 states. 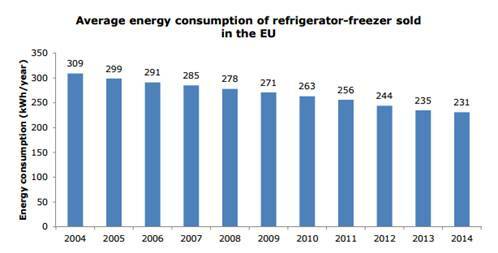 On a product specific basis, the average fridge-freezer sold in the EU in 2014 uses 25% less energy than in 2004 (source topten.eu from GFK). The average washing machine sold in 2014 in the EU uses 25% less energy and 15% less water than in 2004 (source: topten.eu from GFK). Ecodesign and Energy Labelling policies have without a doubt played their part in this transition to lower residential sector consumption. For the most efficient products currently on the market, please refer to our listings.